Better Late than never is what I say! I wanted to post this great article from June about patient safety that was published on Huffington Post. I was very surprised they even mentioned me. Please spread the word about this very important issue facing our nation’s medical facilities. Read the Huffington Post article by clicking here. This was a great way to start the work week! 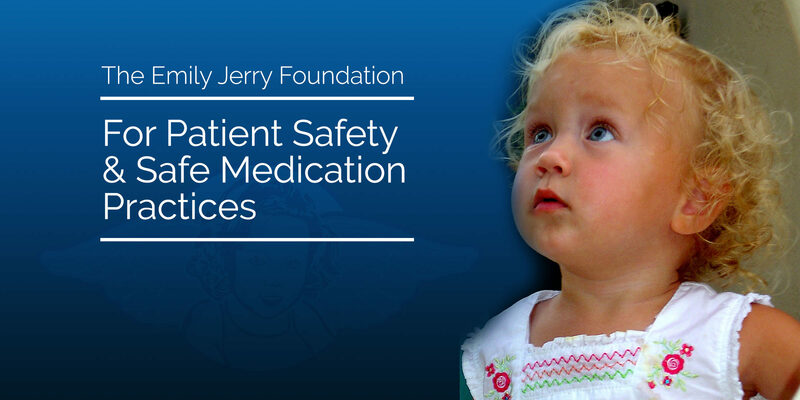 My good friend and esteemed board member of The Emily Jerry Foundation, Ann Oberg, made me aware of some recent articles that ran in Pharmacy Times regarding the vital national issue of pharmacy technician regulation and oversight. The following is an interview I did with Ryan Marotta from Pharmacy Times where we discussed this important topic that affects ALL of us in America! Thank you so much everyone for giving me these opportunities for interviews, public speaking engagements, etc., and most of all, for helping me to honor my beautiful daughter, Emily’s, short life here on earth in ways that ultimately save so many lives! Click here to read the Pharmacy Times story.